Nantes (Breton: , Gallo: Naunnt) is a city in West France, located on the Loire River, 50 km (31 mi) from the Atlantic coast. The city is the sixth largest in France, with a metropolitan area of about 900,000 inhabitants. Nantes is the capital city of the Pays de la Loire region and the Loire-Atlantique departement and also the largest city in the Grand-Ouest, "Northwestern France" in English. Together with Vannes, Rennes and Carhaix, it was one of the major cities of the historic province of Brittany and the ancient Duchy of Brittany. Nantes is culturally Breton and still widely regarded as its capital city. The Nantes Tramway opened in 1985, a reversal of the trend of tramway closures that had been going on since the middle of the 20th century. The tramway system is one of the largest and busiest in France. The city also has a Busway line, an innovative and notable bus rapid transit. Nantes is served by an international airport, Nantes Atlantique Airport and a major French railway station, the Gare de Nantes. 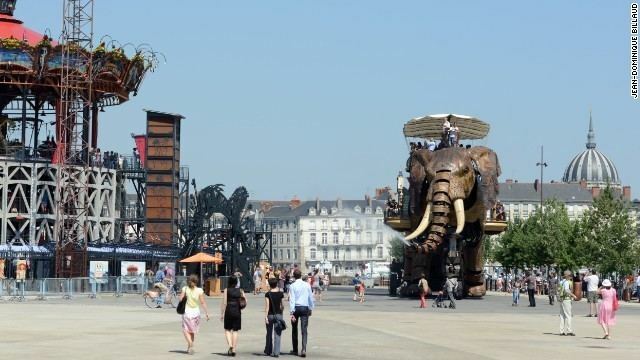 In 2004, Time named Nantes as "the most liveable city in Europe". 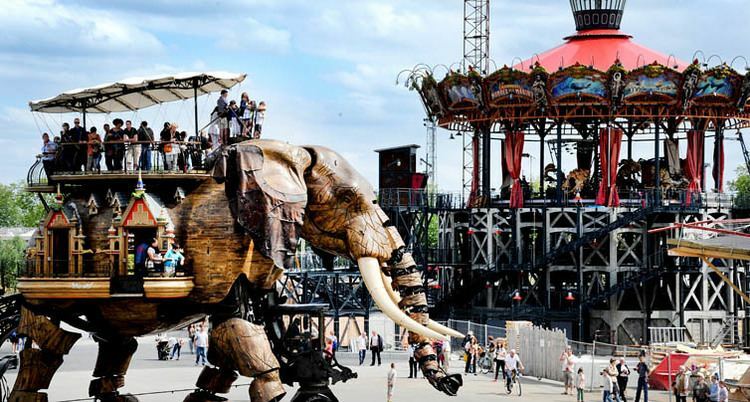 In 2010, Nantes was named a hub city for innovation in the Innovation Cities Index by innovation agency 2thinknow. The city was ranked 36th globally from 289 cities and 4th overall in France, behind Paris, Lyon and Strasbourg for innovation across multiple sectors of the economy. As of 2013, Nantes holds the title of European Green Capital, awarded by the European Commission for its efforts to reduce air pollution and CO2 emissions, for its high-quality and well-managed public transport system, and for its biodiversity with 3,366 hectares of green spaces and several Natura 2000 zones which guarantee protection of nature in the area. 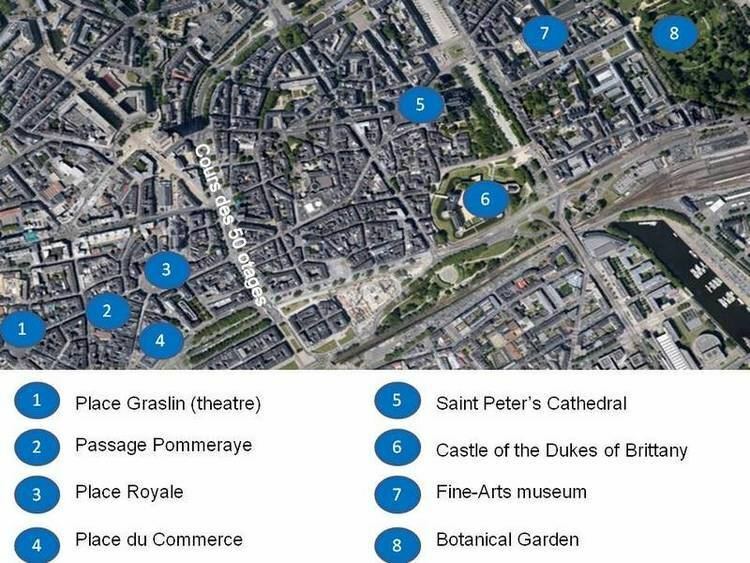 Euronantes is the citys central business district, which is currently in development near Gare de Nantes and on Ile de Nantes, offering by 2015 500,000 square metres of office space, retail space and upscale hotels. The district is served by Busway line 4 at Cite Internationale des congres et Tripode stations. Although there are very few prehistoric archaeological finds in Nantes and its surrounding area (in contrast to numerous ancient remains on the Breton coast), it seems the ancient population was based around mining communities in the north of the current town. During the Gallic period the area belonged to the Namnetes, who were conquered by Julius Caesar in 56 BC. The Romans Latinised the towns name to Condevincum, or Condevicnum, and under Roman rule it became an administrative centre. In the 3rd century it was renamed Portus Namnetum, and during this period a Gallo-Roman surrounding wall was constructed to fend off Saxon invasion; the remains can still be seen today. Nantes was Christianised during this period, and its first bishops took office after the conversion of Constantine the Great. Nantes is located on the banks of the Loire River, at the confluence of the Erdre and the Sevre Nantaise, 55 kilometres (34 miles) from the Atlantic Ocean. 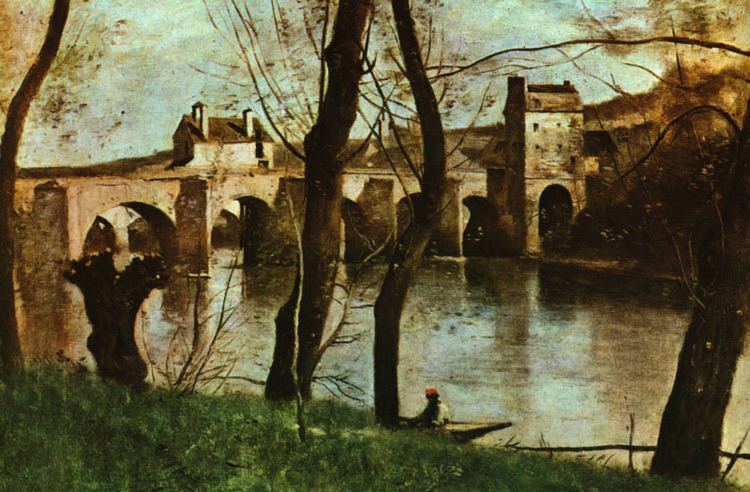 The city was built in a place where many branches of the Loire river created several islands, but most of those branches were filled in at the beginning of the 20th century (and the confluence with the Erdre river diverted and covered) due to the increasing car traffic. Les Rendez-vous de lErdre, a jazz festival centered around the Erdre river. Le Festival Eidos du film denvironnement et de developpement durable, a cinema festival themed around the environment and sustainability. The Festival Voisinages , various theatre performances (Theatre du Grand T, Theatre universitaire de Nantes, salle Onyx de Saint-Herblain). Musee dhistoire de Nantes (Nantes history museum), located inside the Chateau des Ducs de Bretagne. Musee dArt de Nantes (Nantes Art museum), reopening in 2018. Musee Thomas Dobree (Thomas Dobree archaeological museum), close to place Graslin and reopening in 2016. Museum dhistoire naturelle de Nantes (Nantes natural history museum) close to place Graslin and Thomas Dobree museum. Musee Jules Verne, world famous novel writer Jules Vernes museum, on butte Sainte-Anne. Memorial de labolition de lesclavage (slavery abolition memorial), opened in March 2012. Nantes used to be Frances main slave trading harbor, this memorial celebrates the ending of slavery. Musee naval Maille-Breze (naval museum). Musee des compagnons du devoir, the Pays de la Loire regional contemporary art collection located inside the "manoir de la Hautiere" in Chantenay. Musee de limprimerie (print and typography museum). Musee de la Machine a coudre (sewing machine museum). Musee des sapeurs-pompiers (firefighters museum). Musee de la poste (post museum). Muscadet, a white French wine. Beurre blanc (white butter) also called "beurre Nantais" is a butter sauce created by Clemence Lefeuvre. Galettes, which are a heavier, less sweet version of the crepe, are traditional fare in Upper Brittany, the region in which Nantes historically sits. Galettes can be eaten at any time of the day, feature buckwheat flour, and are usually filled with meat, eggs, cheese, or a variety of other things. However, they are much less of a dessert food than the traditional crepes. Cure Nantais, a French cheese. Berlingot nantais , a French candy created during the 19th century. Petit beurre, a biscuit produced by LU.